Access to Music specializes in building high quality home music systems at any price. 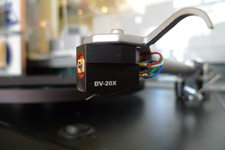 We are a custom installation company specializing in stereo sales and turntable upgrades. We have been serving our customers since 1985. Over 40 years experience in turntable sales and setup. Specializing in Linn, SME and Rega. Many cartridges and accessories in stock. Free shipping on most items in the continental US. Sign up for our mailing list to get notices about our sales and events. We do not share our mailing list with other companies. © 2009 Access to Music. All rights reserved. Discount on Indoor Mercurial Soccer Shoes and Nike Mercurial Superfly Boots,go now.